It's a rare indulgence for CEOs to reflect on their personal plans amidst their accountability to..
Fresh Leadership combines an understanding of organizational dynamics with keen insights into..
Colbert Matsumoto Chairman & CEO, Island Insurance Company, Ltd. I found my experiences with Fresh Leadership were always thoughtful and productive. Fresh Leadership..
Fresh Leadership's program energized our students in their planning process for career/professional..
Fresh Leadership has helped us to better understand our people as well as the team dynamics that..
Fresh Leadership helped our business units work together to become more successful. I highly..
Fresh Leadership's executive coaching helped me gain clarity around my life and work goals. I've..
Fresh Leadership has been a great coach for me. They are able to comprehend the issues and the..
By working with Fresh Leadership, and going through the lifeplanning and coaching principles, the.. 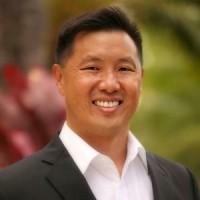 Driven by a desire to help Hawaii succeed in the 21st century by preparing the next generation of the state’s leaders, Craig founded Fresh Leadership in 2003 to share nationally recognized best practices in strategic planning and leadership. Craig has been trained and mentored by Tom Paterson, whose strategic planning and leadership coaching processes have been used at global companies such as IBM, Disney, McDonnell Douglas, Northrop Grumman, RCA and Estee Lauder. His knowledge of the Paterson Processes, as well as his credentials as an International Coach Federation Professional Certified Coach (PCC), Hudson Institute of Santa Barbara Coach and Senior Birkman Certified Consultant, have allowed him to become a trusted advisor to a wide range of Hawaii organizations such as the Hawaii State Department of Education, Atlas Insurance, and the Salvation Army, as well as leaders such as Wayne Cordeiro, Founding Pastor of New Hope Christian Fellowship Oahu, Cheryl Lupenui Kahuane, former CEO of YWCA, and Catherine Payne, former Principal of Farrington High School. Craig discovered his passion for strategic planning and leadership training through his work with the church, which he was involved in prior to founding Fresh Leadership. He was mentored by Dr. J Robert Clinton, the guru of Life-Long Leadership Development, while a full-time graduate student at the Fuller Theological Seminary in Pasadena, California. He was also a part of the core church planting team with New Hope Christian Fellowship on Oahu from 1995 to 1999 in which the church grew from 0-6000 in weekend attendance. Craig the founder of the Drucker Society of Hawaii, a learning practice community devoted to the study and application of Peter Drucker’s insights and ideas to contemporary problems confronting the local community. He has been active in the service of his community for many years. He is a founding leader in his church, Blue Water Mission and a board member of the Salvation Army, and the Metro YMCA. Business hours (Hawaii). By appointment. By working with Fresh Leadership, and going through the lifeplanning and coaching principles, the alternatives before me were clear. Fresh Leadership helped my wife and me to plan for a more balanced life as we forge ahead. Fresh Leadership has been a great coach for me. They are able to comprehend the issues and the problems very easily and help me walk through the processes so I am able to make better and clearer decisions for my company and myself. Fresh Leadership's executive coaching helped me gain clarity around my life and work goals. I've clarified leadership roles among my team at work, and I've taken risks in my personal and professional life that I would not have otherwise taken. Fresh Leadership helped our business units work together to become more successful. I highly recommend them to organizations that are interested in learning how to take advantage of their potential. Fresh Leadership has helped us to better understand our people as well as the team dynamics that have helped us to place people in their optimal capacities. I tremendously appreciate Fresh Leadership's wisdom in deciphering vision and strategy for the two companies. Fresh Leadership's program energized our students in their planning process for career/professional development and personal lives. They are professionals who are able to communicate complex concepts and provide a safe environment for participants. I found my experiences with Fresh Leadership were always thoughtful and productive. Fresh Leadership has a special talent for supporting leaders in strategy development and execution to get results that are sustainable. Fresh Leadership combines an understanding of organizational dynamics with keen insights into individual personality traits – particularly of the younger generation of employees - enabling them to be an exceptional facilitators of corporate planning processes. In today's work environment the gap between generations often hampers effective communication and understanding. Their ability to listen and comprehend diverse perspectives bridges generations together to achieve results. Colbert Matsumoto, Chairman & CEO Island Insurance Company, Ltd. It's a rare indulgence for CEOs to reflect on their personal plans amidst their accountability to others. It's a competence that many of us have not exercised and could use some training in. Fresh Leadership helps you sift through complexity to find simple solutions and paths for the good of you and others. Whether you're faced with minor adjustments or major life changes such as retirement, Fresh Leadership helps you hold the mirror that reflects who you are and becomes a portal for all that you can be.